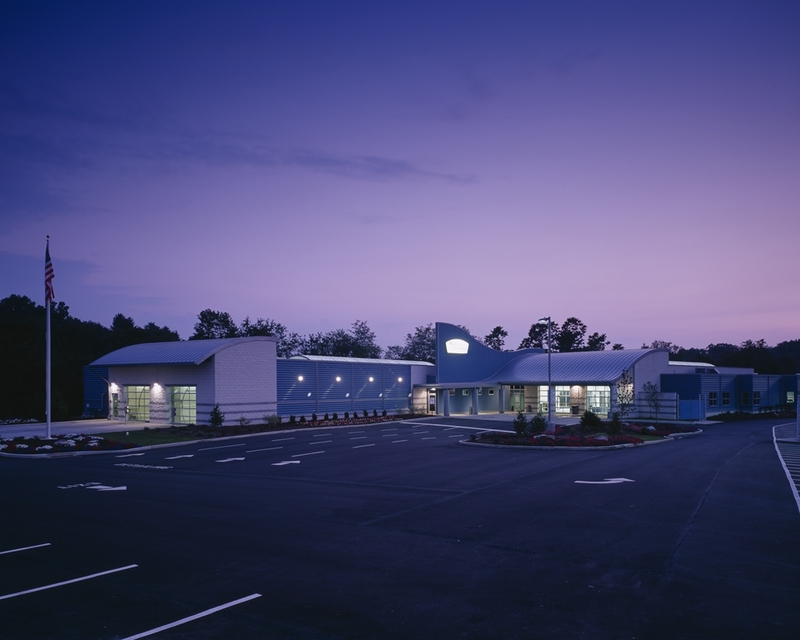 CleanTown USA approached RSSC Architecture to design an updated 21st century automated car wash. RSSC Architecture took CleanTown USA’s dream and created a clean, bright and open facility that services up to 4,000 cars on any given weekend. 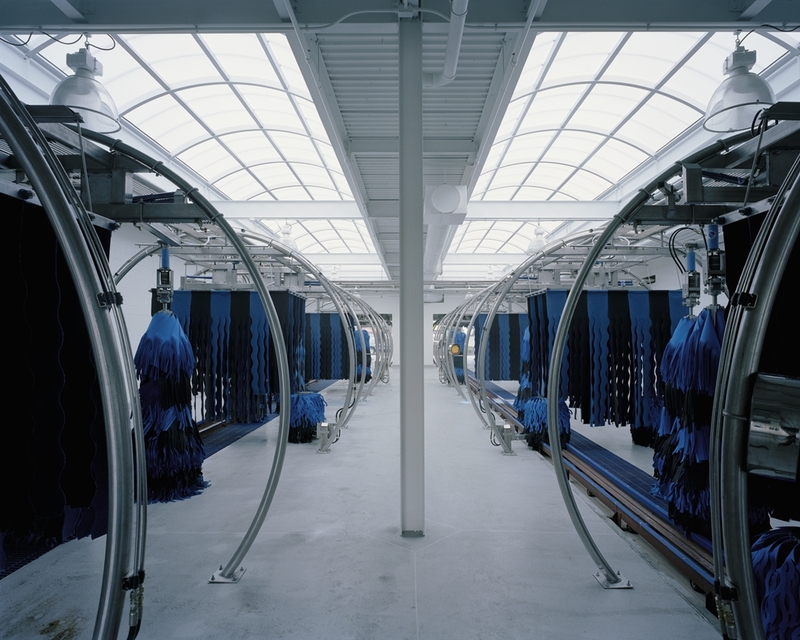 By combining a car wash with a detailing area, drivers get the best of both worlds – a speedy, thoroughly cleaned vehicle, inside and out. 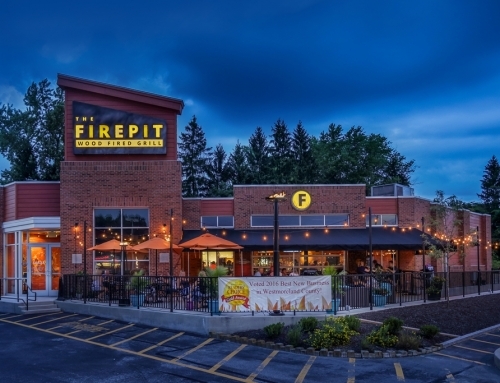 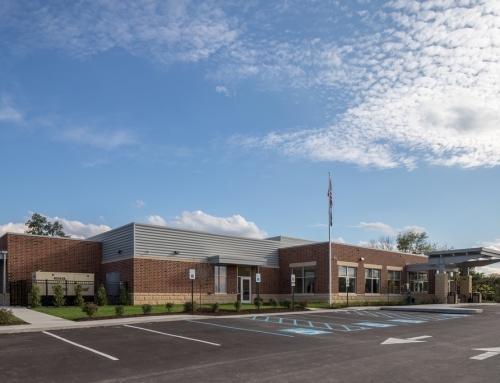 With energy conservation and minimal maintenance as one of the client’s top priorities, RSSC used concrete masonry, metal siding and glass paneled overhead doors to create the building’s exterior. 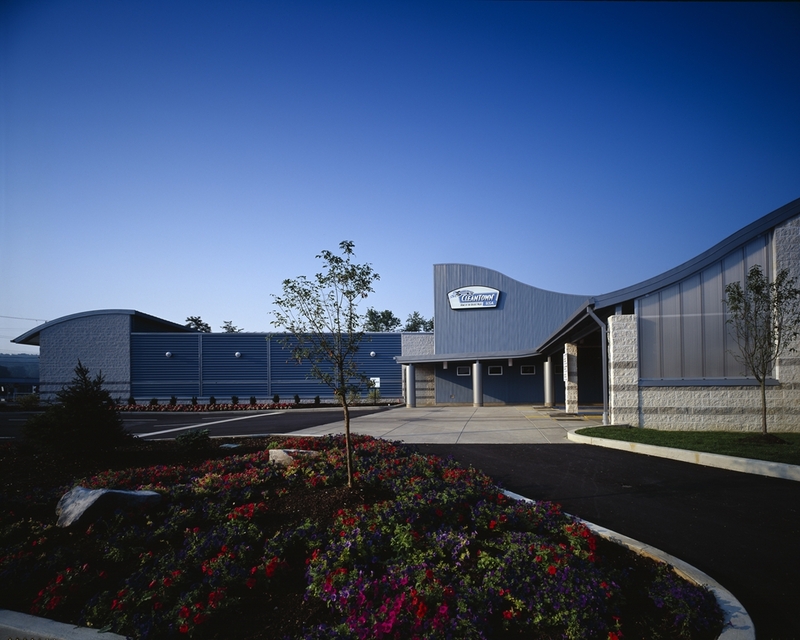 Large continuous skylights provide natural light to reduce energy consumption and costs, while a hi-tech water reclamation system reduces the amount of fresh water consumed to one-fifth of the amount of a typical automated car wash. 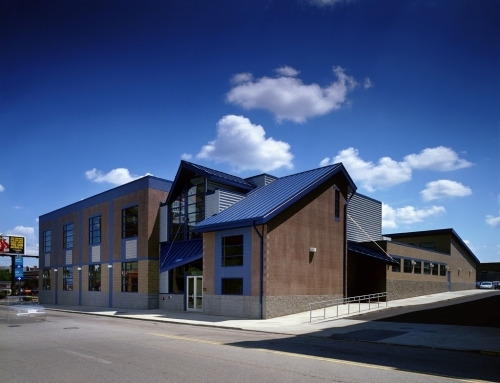 In addition to CleanTown USA’s environmental concerns, a smooth, simple and enjoyable customer experience was at the forefront of their business interests. 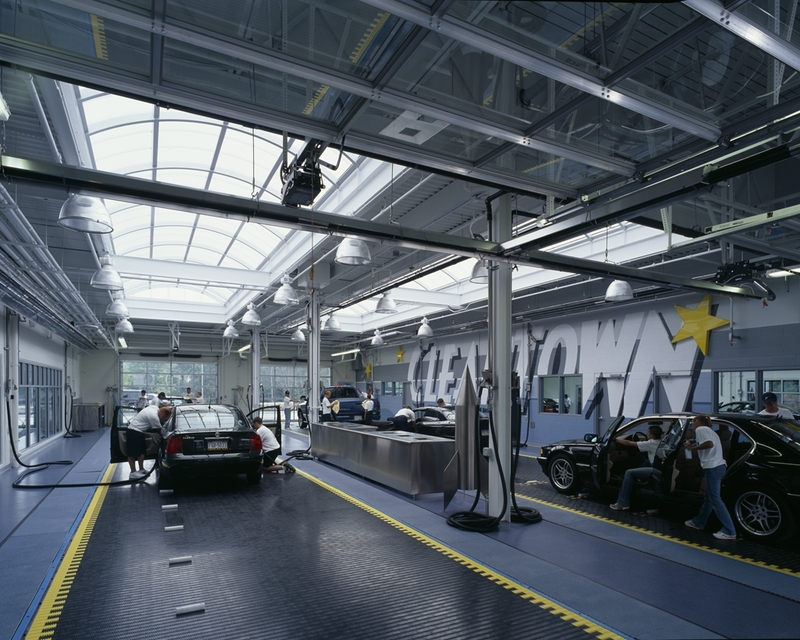 Features such as well-lit wash bays with special lighting allow patrons to enjoy the “show” after they turn their vehicles over to the experts. 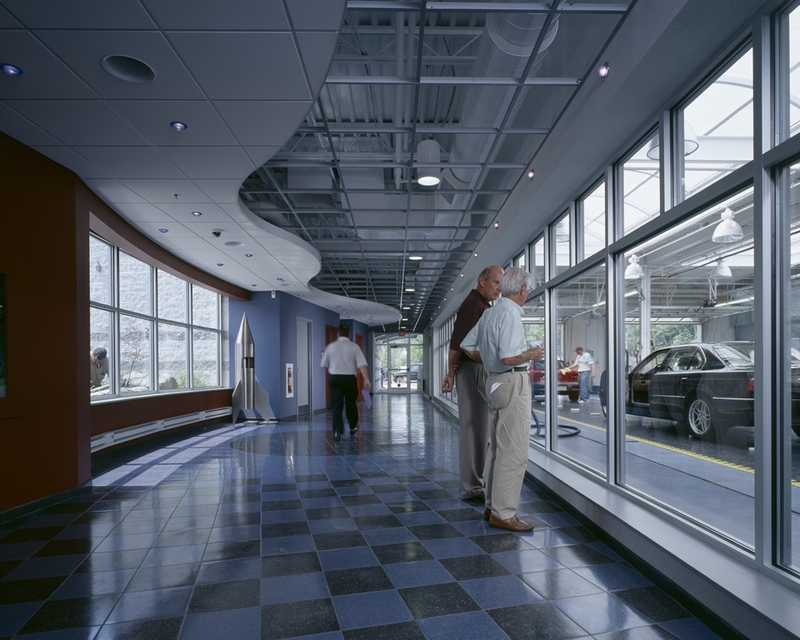 Customers can observe CleanTown USA servicing their vehicles from a welcoming concourse with a 1000-gallon fish tank, while floor tile and distinctive ceiling patterns lead them down a corridor to retrieve their vehicles. 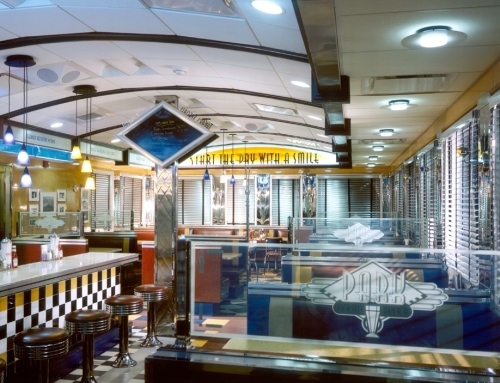 With both customers and owner in mind, RSSC Architecture designed a unique, modern facility with clear transitions – all to create the ultimate consumer experience.